-identify opportunities to defer or avoid distribution investments with distributed energy resources, including geo-targeted energy efficiency programs. -designing and implementing new programs to motivate municipalities to invest in energy efficiency. Synapse is at the forefront of this energy efficiency program makeover, advising and connecting regulators, program administrators, consumer advocates, environmental stakeholders, and technology developers. 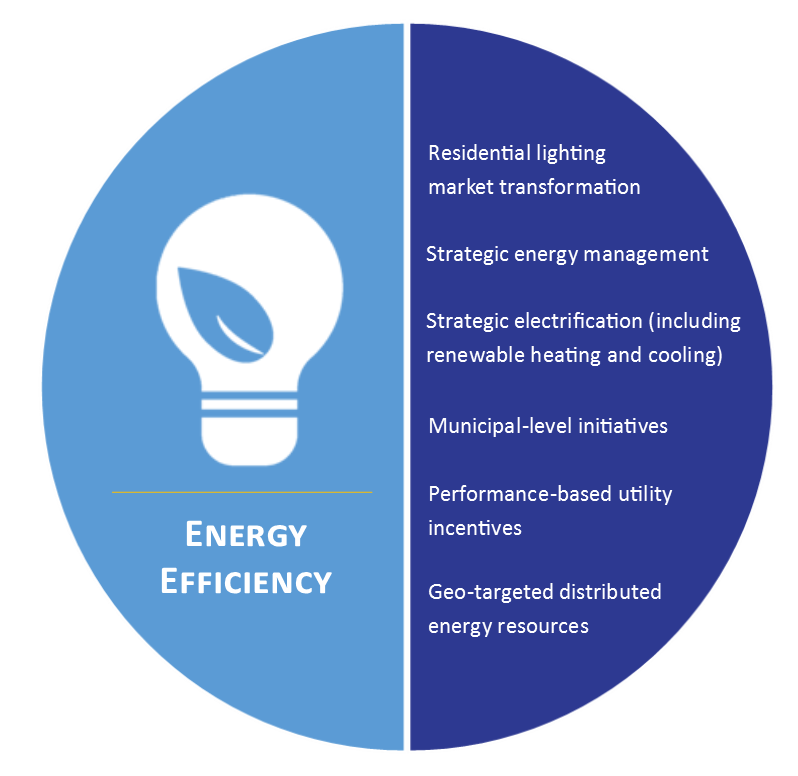 Our team of 10 efficiency experts worked on nearly 40 efficiency-related projects over the past year across 12 states or Canadian provinces, particularly in the hot topics shown below. Check out our recent energy efficiency projects here at Synapse by searching "Energy Efficiency and Demand Response" on the projects page of our website. Starting in November, we’re launching a fall/winter energy efficiency blog series to showcase energy efficiency industry highlights. Our November blog will focus on the speed of the residential lighting market transformation and new opportunities for energy efficiency program administrators. Stay tuned for more information on future blogs!